Marketing your home requires more than simply placing a "For Sale" sign on your lawn. For Vessie, every listing is unique, and she designs a specific marketing strategy to maximize your home's exposure ensuring it sells faster. We call it real estate confidence - and it's what you feel when Vessie is representing you when is time to put your home on the market. Technology has made the world a much smaller place and Vessie uses it to serve the individual real estate needs for each of her clients - no matter their location. 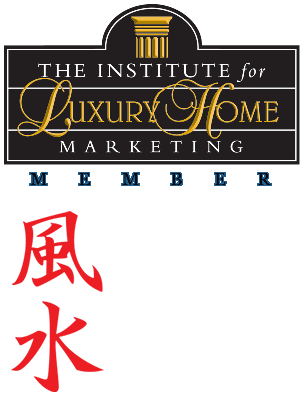 As a Certified Feng Shui Realtor, she applies the ancient wisdom of Feng Shui that governs spatial arrangement and orientation in relation to the flow of energy in your home to maximize its selling potential. The first step to prepare your home for the market is taking the time up front to fully assess the proper elements of a home prior putting it on the market in order to optimize its value and first impression to buyers. Working together, Vessie ensures you understand what’s required to sell your house for what you anticipate. Vessie's team does all the upfront work, such as minor repairs, cleaning and staging - all, at no cost to you. There is only one chance to make a first impression. Vessie is a Certified Global Marketing Agent, which enables her to market your home internationally. As a member of the International Real Estate Specialists Network (IRES), Vessie has the opportunity to showcase your property to specifically targeted international network of buyers. When only the best descriptions and photos are used to make your home shine over others using Vessie’s proven marketing plan. Beautiful home videos showcase and bring to life your property’s best attributes for a potential buyer. Make it easy for buyers to interact with your property so they can envision living in their new home and make an offer. Buying or selling Vessie provides exceptional services to her clients and meets their every need - pick up from the Vancouver airport, spa services, introduction to schools, local amenities and shopping. Making sure her clients are well taken care off is Vessie's signature service. Vessie’s “Home by Design” luxury lifestyle and living magazine features her exclusive real estate listings and gives them the high level exposure they need to reach potential buyers throughout Vancouver. Selected properties will be also advertised in “Robb Report” and “Dream Homes of Canada” -one of Canada’s top luxury home magazines, giving selected listings the platform they need to reach potential buyers on a larger scale.